The Institute for Luxury Home Marketing (ILHM) is the leading authority to provide training and certification in the skills necessary to manage tier one luxury properties. Why is it important that Sedona’s Sheri Sperry is a member of the Institute for Luxury Home Marketing? Not all real estate agents operate effectively in level one or top tier real estate market segments. There is a certain competency level that can highly benefit a client. Sheri Sperry is a past-president of the Sedona Luxury Real Estate Professionals (SLREP) and is committed to providing bespoke service to the affluent real estate client. 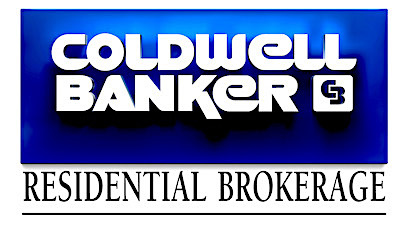 Whether you are buying, selling or investing, Sheri Sperry of Coldwell Banker Residential Brokerage Sedona, understands the quality appointments, amenities and finishes in a luxury home. Members of ILHM are trained and recognized to possess certain qualifications and luxury standards. The Institute is focused on support of it’s members to provide the tools and information necessary to provide the best luxury experience for agents and clients alike. Sheri received comprehensive training and certification during dedicated classroom and discussion activity to refine and shape added competencies. The specialist training and certification also provides productive tools and resources to assist luxury specialists and clients. Access to professional marketing material and exclusive market insights are also provided to ILHM members including marketing reports, brochures, software and more. The ILHM also provides luxury data and research information to assist the real estate professional and their clients. Areas of research may include demographic statistics, as well as other information that is important to affluent clients such as school rankings. Competencies and Branding are also discussed. Review of architectural styles and terminology. Review of landscape, hardscape and Xeriscape design. Review of construction materials and amenities. 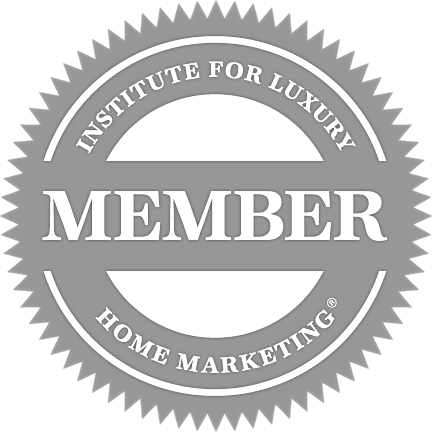 Access to membership in the Institute provides a network of other certified luxury home marketing professionals from the United States and around the world. Our instructor, trainer and facilitator for this certification was Kofi Nartey. I have had the opportunity to listen to many keynote speakers and I always admired Tom Brokaw as one of the best speakers I have had a chance to listen to. Now I have to add Kofi Nartey to the very top of the list. Sorry Tom. Kofi Nartey was the most interesting and dynamic speaker I have been around. He would interject “Kofi-isms” throughout the luxury home market training. With all his accomplishments, of which there are many, he did not concentrate on himself. Instead, he presented the material in such and interesting and energetic style that I was completely riveted, taking notes with full attention. Kofi mentioned that he had done many cameo appearances on TV shows and that he had played football, but I had to research his bio to get the snippet of information below. Kofi is the Broker Associate and National Director of the Compass Sports and Entertainment Division. Kofi and his team focus on celebrity and luxury home sales. He played football for Cal Berkeley and later completed his MBA in the Presidential and Key Executive Program at Pepperdine University in LA. He was drafted by the Oakland Raiders but an injury kept him from plying professional football. His luxury real estate niche is sports and entertainment. Some of his distinguished clientele have included Michael Jordon, Derek Fisher, Iggy Azalea, and Kevin Durant. His team “The Nartey Group” and helped many of the LA Rams with their relocation. He has appeared in over 100 national television and print media outlets including WSJ, LA Times, Chicago Tribune, CBS, CNBC, Fox Business News, ESPN, etc. He has appeared on HGTV’s Selling LA and numerous appearances on Million Dollar Listing. I could go on and on. He is a great speaker and personality. Kofi-ism – “Don’t React ….Respond”.